At least 8 1/2″x 15″ is the size of each of the fabrics… Each week you will receive 12 fabrics at a cost of $12.50 per week. The quilt will be set 12×14 for a measurement of 72″x84″. If you would like yours bigger you can always add a border. Shipping will be $3.50 per week. If you are in the WOOL BOW-Words to Live by… and want to do both the shipping will be $6 for both. If you want to pay in full it will be $175.00 plus the shipping. I HAVE NOT GIVEN A TOTAL FOR THIS BECAUE IT WILL DEPEND ON IF YOU ARE DOING BOTH, AND SO ON…If you have an order in for the Wool Bow just email the shop and we will add it to your first bow order. 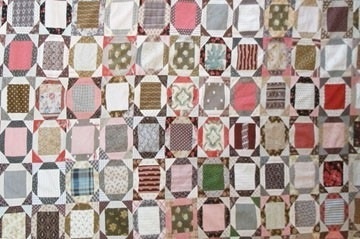 Is the quilt you based this design on an antique quilt in your collecion? No this is not one of mine… It was in my file folder on my computer… So I do not know where it came from… But we will bring it back to life! Hi Lisa — Although I am not doing the BOW, I’d love to know more about the permanent pen. Like you, I’ve never been a fan of Pigma. 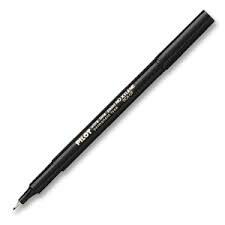 I don’t want to bother you by ordering just a pen, but if you could provide info about the Brand/style etc. I can go looking for it on my own. I am getting ready to use Snowman Gatherings for a project. Those are the cutest snowmen I’ve ever seen. THANKS for sharing your creativity. I cam across the pen by chance…the company who make the new frixion pens sent me some of their samples…it is by Pilot and we now have them on our site. $2.50. It is ultra fine and precise. So it works perfect for what I am using it for. HMMM…thanks for the heads up we will look into it…maybe too many people on the site? We are getting orders, again thanks for letting us know..
Lisa – needing a new iron and I can’t remember the model Rowenta you recommended at the wool class I attended at Road to California. Please refresh my memory! I blog frquently and I seriously appreciate your information. Lisa, I’m blown away by all the work you and your helpers do to make all of this so easy for us! Thanks so much. I got an announcement of, and downloaded the pattern, for Block 1. I haven’t heard about Block 2 yet, and I’m wondering where to find it and subsequent blocks on your site.